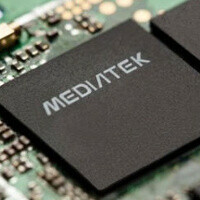 MediaTek is probably the fastest growing chip maker, and while you might have heard of Qualcomm’s Snapdragon chips or Nvidia’s Tegra, the name MediaTek sounds foreign to gadget lovers in the West. The complete opposite is true in Asia, Eastern Europe and other regions where white box manufacturers from China are flooding the market with extremely affordable devices. You’d be surprised to hear that in most of Asia the well known brands like say Samsung are having a tough time fighting against much cheaper alternatives from a small army of Chinese phone makers. MediaTek is the reason for that success. The company is aggressively competing in price with Qualcomm and Nvidia’s solutions, and while earlier its chips lagged a year or two in features and productivity, that gap is diminishing quickly. And in 2013, MediaTek will only grow stronger. The Chinese chip maker plans to have its chips in 200 million smartphones this year, and it is preparing a dedicated tablet processor to launch in the third quarter of the year. MediaTek breaks down expectations saying it should 20-25% TD-SCDMA chips (ones used for China’s 3G network), 40-45% WCDMA (supporting worldwide 3G), and 20-25% EDGE 2G supporting chips. That’s an interesting turnaround showing both the close ties between Android and MediaTek, and the transformation of the company to a more mature 3G solution provider. MediaTek is right now launching its MT6589 quad-core chip in China, so the first smartphones and tablets with it should start flooding the market very soon at very affordable prices. 6589 based phones have already been announced in India expected to go on sale by end of this month or march. True, we're looking forward to see the Micromax Canvas HD, that's probably going to be the first MT6589 phone. With all of respect. Tegra is not competitor for anyone at smartphone market. Share of Tegra is also minimal. Speaking from a US standpoint, it is noticeable, and that's our perspective here. Micromax Canvas HD A116 has a mediatek quad core in it and an HD(1280 x 720) IPS display and a 8 mp camera, but only priced at INR 10,000 (around 185 Dollar). No other big brands can compete. Neither they need to compete: it uses a Mediatek MT6589, which is chipset worth of 2011, hardly competition with the 2012 ones. With a GPU PowerVR 544 SINGLE CORE. Even if it´s quad core it can lag as hell being HD. Only because of that most of the people (outside India) would not even look at the phone. Nexus 4 is very cheap for a flagship, Mediatek makes chips for the REALLY cheap phones. We are talking about phones that cost less than $150, half the $300 tha the nexus 4 costs. Yea looking forward to micromax canvas hd a116. But the processor runs on a7 architecture not the a15. Can the a7 handle graphic intintensive games without lagging issues?. Though I checked the phone's review it was sleak on stock android.